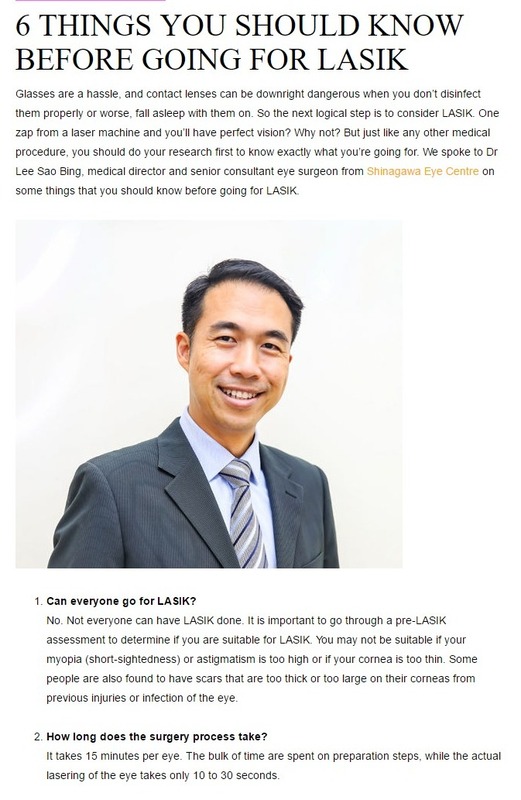 Dr Lee Sao Bing was interviewed by CLEO regarding LASIK. He provides information that one should know before going for LASIK. (1) Can everyone go for LASIK? (2) How long does the surgery process take? (3) The idea of having my eyes held open by an apparatus and pointed at with a laser sounds terrifying. How should I prepare myself for it? 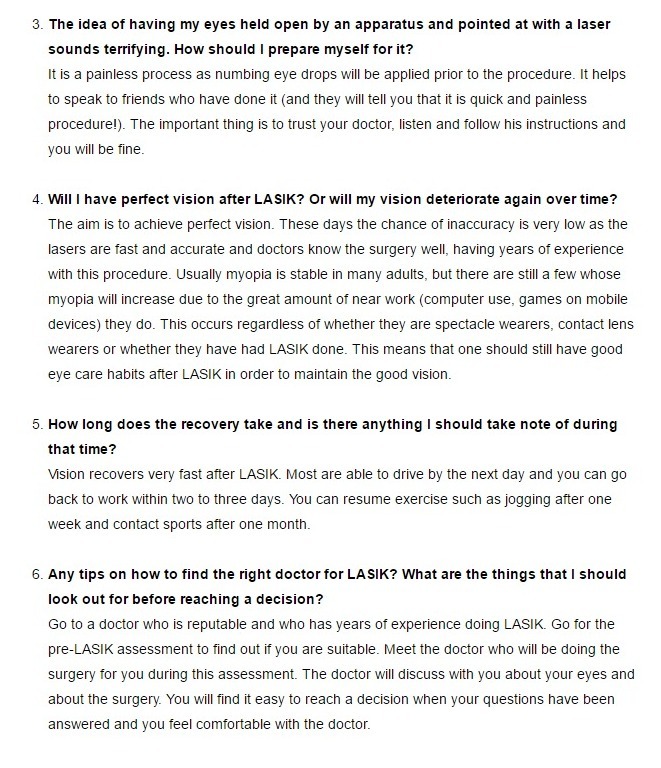 (4) Will I have perfect vision after LASIK? Or will my vision deteriorate again over time? (5) How long does the recovery take and is there anything I should take note of during that time? 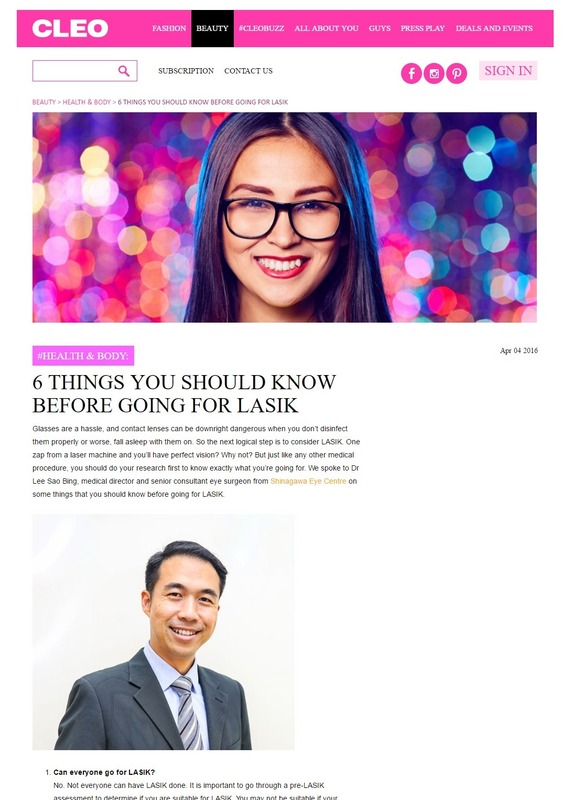 (6) Any tips on how to find the right doctor for LASIK? What are the things that I should look out for before reaching a decision? Scroll down and click on the 2nd and 3rd photo to read the answers.